B 19 October 1949 at Summer Hill Sydney. My Partner is Peter Knox ( Izzy Foreal) B. Sydney. 18 April 1949. JOHN AND ELIZABETH JULIAN ? I am married to Lawrence John Samuels a descendant of Henry Samuels and Hannah. Would you like to talk to me. 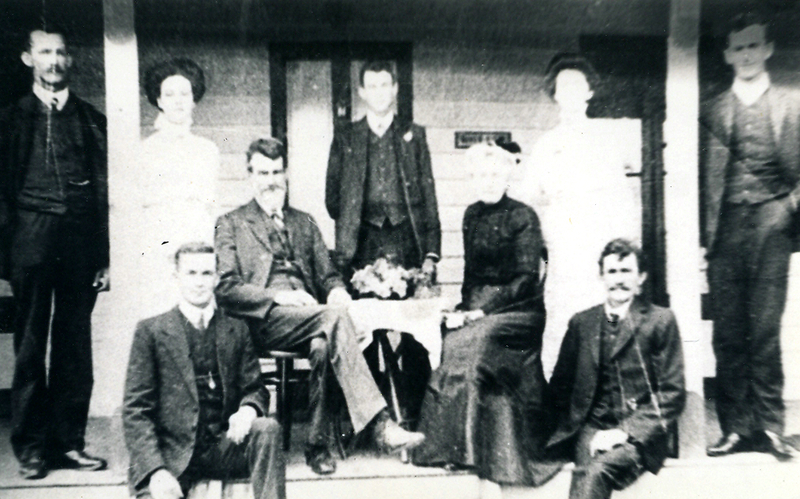 I’m the granddaughter of Albert Dudley Johnston who married Anne Hurrell and owned the store at Kinchela. Hi Ros, Thank you for writing. Every piece of detail is so good to get. Now I need to place Ann in my head. I am still unsure about how the Hurrells came to Australia and am waiting on another Hurrell connection who said she could send that information. My father used to spend his holidays in Kinchela when he was a boy. Do write again. Yrs Lynne. Just stumbled on your site and what a site it is! John Curtis and Ann Moran are my ggg.grandparents. James, their son, is my gg.grandfather. 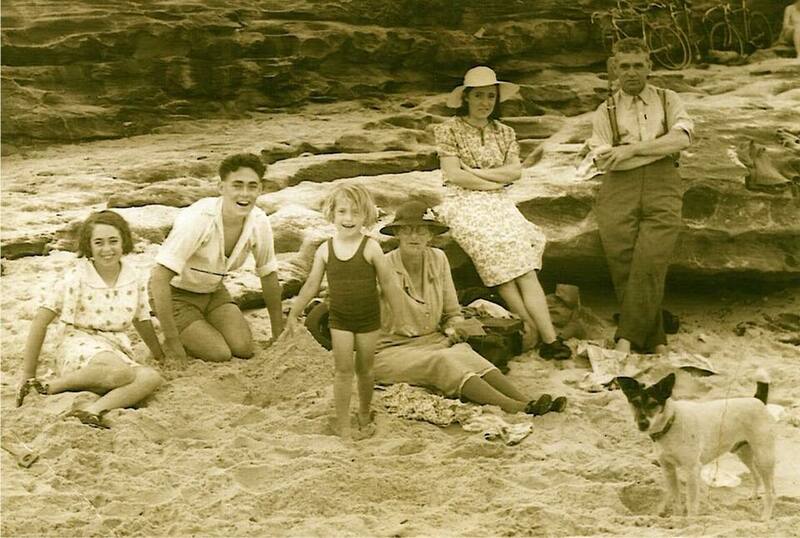 I lived most of my life at Maroubra. Mary Parsons’ (James’ wife) headstone is also at Botany, but I’m not sure if it is still standing. James’ daughter Teresa married into the Meillon family and so we are connected to John Meillon the actor. I’d love to know more about Ann Moran; she is one tough lady. Cheers, Kim. I am descended also from frederick. My GF was Clarence McLeay Sanders so I suppose that makes us cousins. Would love to get together and discuss details. My mobile is 0412 221 587 and I live in Port Macquarie. Hi Gabrielle. My Mcleods and Mackays were on the Brilliant. Wilhellmina Mcleod and her sisters and brother Donald. Her mother was Janet Mackay. I have quite a few stories about them thanks to newly found family. They went to the Hunter Valley and then some came on to Tweed. It was my Great Grandfather John Bell whose mother was Wilhelmina who went with his wife Mary Ann mcNeil to Laurieton and my mother’s father, William Allen Bell, was born there. We often went there as children. Surely they must be connected. I live near Condong and Tumbulgum now and am very familiar with this area. Thank you for making contact and for the details on your website. Yrs Lynne. I don’t think so. I think Mackay was her maiden name. The man to talk to would be my cousin. I shall try to find his webpage. I am researching the McNEIL and McLEAN families… my FOSTER family is descended from them. Please contact me about your BELL family. My connection Mary Ann Skevings sister Harriett. I have come across some info on The family of William and Mary Ann. My question is the parents of William Sanders 1823, Jocelyn namely on many researchers notes William Sanders and Elizabeth Green, however on Williams death cert shown on you site and a copy of which I have the fathers name is John. Were William and John the same person. Can you help solve this? Hi Lynne, we share a lot of GG-ancestors. I’m a John Quirk descendant. He’s been well researched by others, but no breakthrough back to family in Glasgow unfortunately – I was sent a transcript of his trial if you are interested, refers to him living with his sister but no name – it wasn’t housebreaking as such, he and another (who got away) were attempting to bore through the floor of a stationery store. Bells/Quirks/McLeods/ Lauries are well worked veins, lots of genies working on it over the years but I’d never google-searched before so glad to find your site. Feel free to contact me off-line. Love to share. Hi again Lynne,I found your website the other night(very late)& was so excited.Yes I too am the GGGGGG granddaughter of Thomas Sanders & Martha Bond.My father was Albert Clarence Rowe son of Hercules William Rowe who was the son of Harriet Francis Sanders & Thomas Rowe.I can fill you in on from Hercules William onwards. I am a GGGgrandson of John Curtis and Ann Moran, GGgrandson of Kitty Curtis and George Eccleston on one side,and Sarah Walsh and Fintan Delaney on the other. I have lived in Perth the past fifty-four years although I grew up in Cooma, fairly near the early family areas around the Snowy River. It was good to see all the excellent work that you have done, honouring your ancestors. I am married to Lawrence John Samuels who is a descendant of Henry Samuels and Hannah. Are you able to put me in touch with others on this line. My email is theroberts@tadaust.org.au should you wish to make contact. Hi Lynne i see you have done a lot of research into your family history. I live in Exeter, Silverton and Kenton are both villages 7 or 8 miles away in opposite directions. Do you have photos of these places? Only old ones from the Net and maybe some that my brother took. Sanders is the main family name. Sanders is quite a common name. I’ll try to pop out there and take photos of the oldest parts. It will take me a few weeks because I have and assignment to write but it’s a nice reason to go out with the camera! THank you. I would like that very much. I have one picture with my grandfather in WW1 with a relative in Devon but we don’t know who it was and his brother ,Bert, stayed with relatives there before going to France where he died. My brother went to Powderham Castle and was told he looked like one of the Earls. He thought that was pretty funny. Good Luck with your assignment. What are you studying ? Thank you. I would really like that. Good luck with your assigment. What are you studying ? Hi Tamarra. I don’t know Josh Bell but I am interested because I do know my Bell ancestors lived all along that stretch of the Tweed River. Fancy you being Ray Young’s step daughter . I didn’t meet him but I shall tell Izzy. I wonder how we could locate Josh Bell. I will look. Yrs Lynne. Sorry for the delay in responding. I don’t think it is the same James Bell because our James was convicted of robbing an oyster bar. They were obviously from the same small area in Glasgow and then in the same area in NSW but the Hunter Region had a few James Bells. I have been trying to find the site which details them but am not thinking quite clearly due to the sudden death of my partner in June. I shall see what I can find. Yrs Lynne. Hi Lynne, My name is Sue French and I am a great granddaughter of Thomas Dennis Hurrell. I am currently in Northern France and have been visiting the WW1 battlefields. One of the many reasons for my interest was the discovery that my grandfather, Theodore Thomas Hurrell attempted to enlist in the AIF just a month before the war ended. As I continued my family researches, I discovered that six of his first cousins had gone to the war and only one returned. I have been able to photograph the graves and commemorations for Leighton Roy Johnston at Peronne Communal Cemetery Extension, Morris Price at Corbie Communal Cemetery Extension, Australian Section and Herbert Burdett Sanders at Villers-Bretonneux. I also have photos for Alexander Macleay Sanders grave at Gallipoli. I would like to share these photos with you and the wider Hurrell clan, but I’m not sure how I can do this. Perhaps you can let me know? Hi Sue, That is very exciting for us. There are several ways you could share. You could send me an email with attachments and a background like the one you have written here and I can post them here and on Facebook. If you belong to Facebook we have a SANDERS ( including the Hurrell girls who married the Sanders boys) group which is very active and there is a HURRELL group which is also very active. Either way would work well. What a nice thing to wake up to on a wet Sunday. Yrs Lynne.